Isn’t it great to have perfect hair all day long everyday? I’m sure that the answer is yes! Humidity for example is one of our hair’s worst enemy, right? We have a solution for you though and that is wigs. Last summer, it was all about the boxer braids, and the space buns. Everywhere you looked a girl would have her hair up either in boxer braids, or space buns. Granted, they looked cute and comfy enough for the summer heat. This year it’s all about these 2 trends combined, and I can say it’s one of the cutest trends I’ve seen. 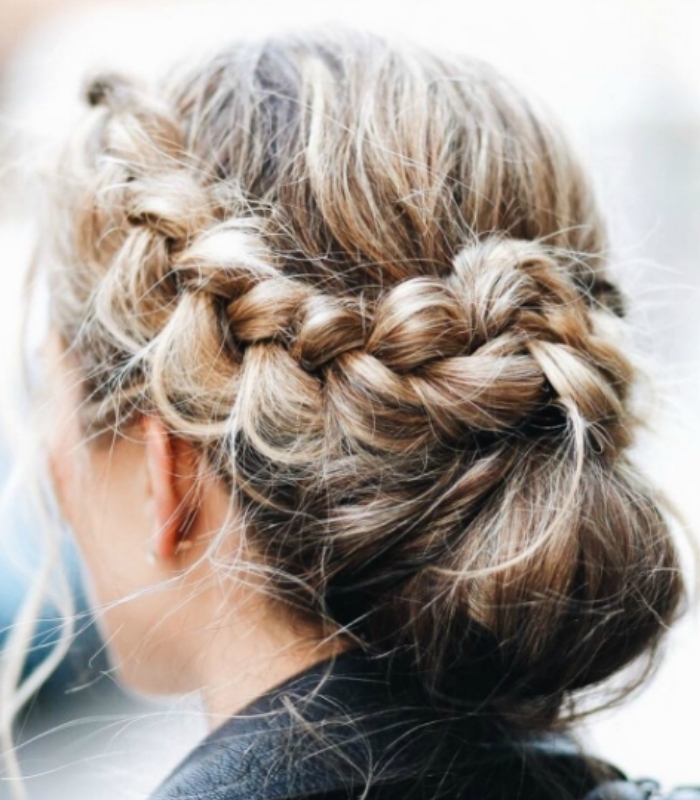 It’s basically upside down Dutch braids that turn into messy buns on the top of the head. I’d like to copy that hairstyle myself, but unfortunately I’m not very good with hair. If you are the same, or if you simply want to learn how to do it yourself, here’s a video that might help you to do so. 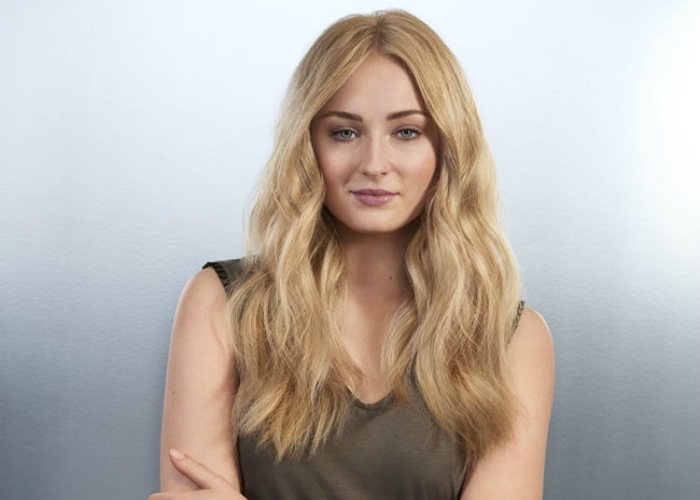 Sophie Turner the beautiful actress from Game of Thrones will be the new muse of Wella Professionals. The young lady of the North will be the main face of their next summer and fall campaigns! Her naturally blonde hair is breathtaking and we cannot wait until we see what they have planned! 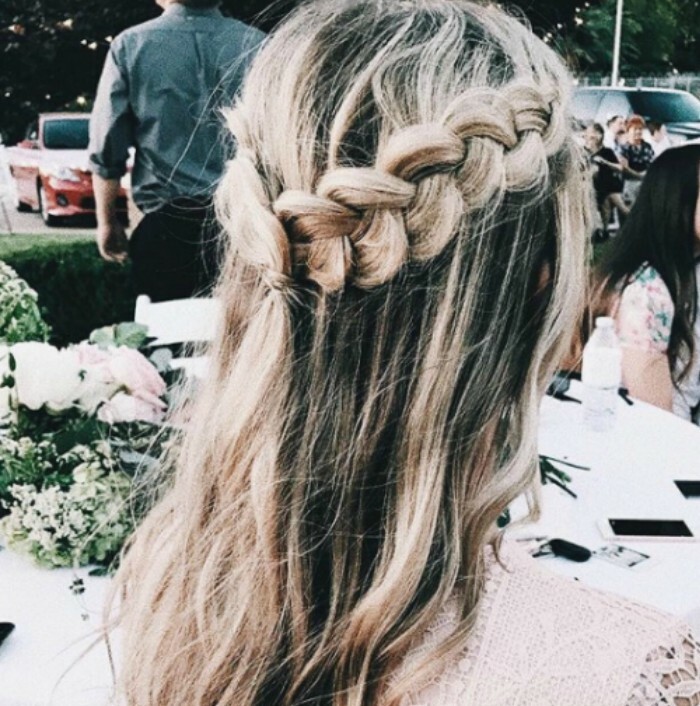 3 Summer Hairstyles you have to try! 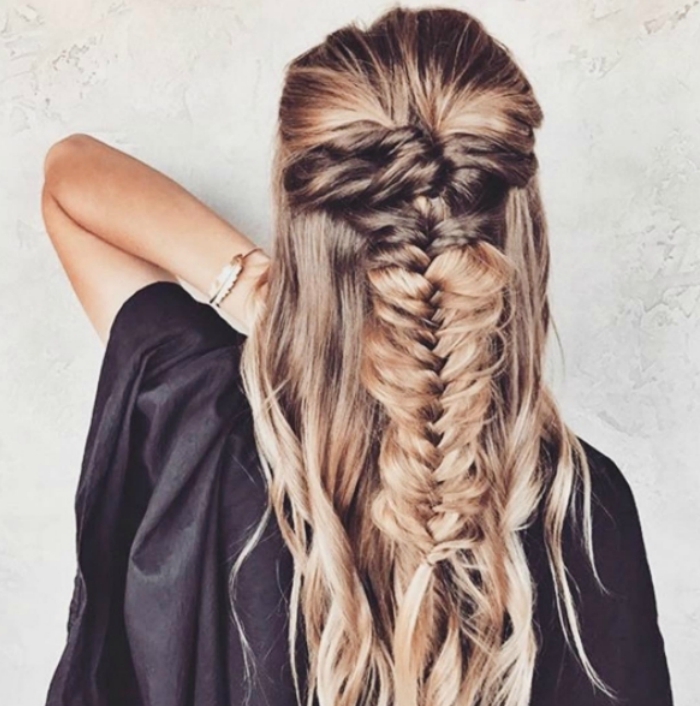 We all love braids in spring. But sometimes they can be quite tricky and time consuming. 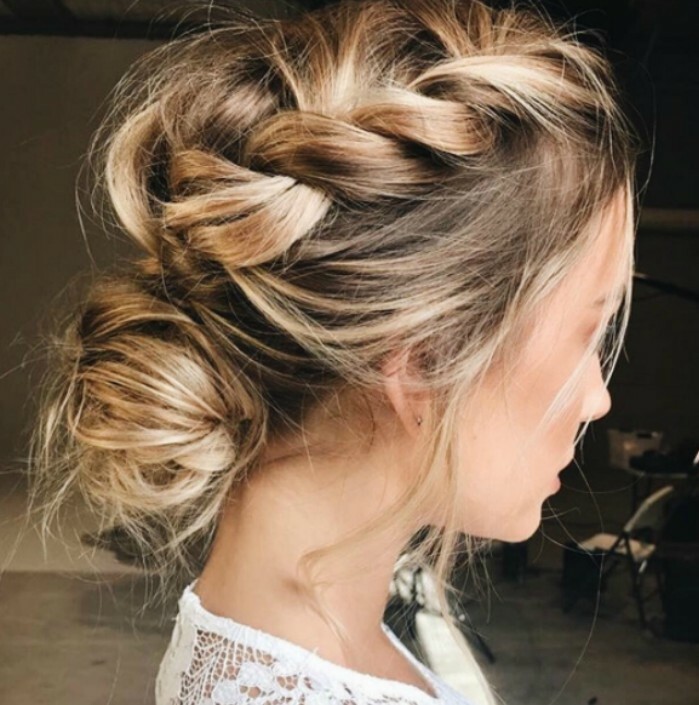 Well my beautiful friends, today I have another super easy and cute hairstyle, which you can wear in Sping and Summer and look amazing! 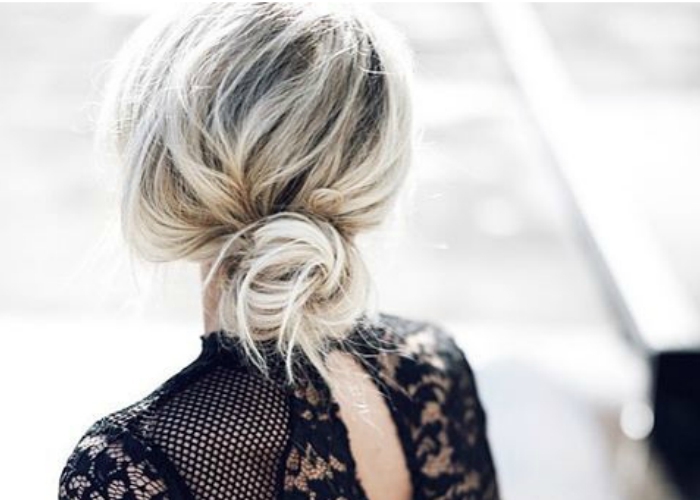 I am talking about low messy buns. What I love about this hairstyle, is that everyone can do it. It doesn’t matter if you have long or short, culry or straight hair, this will work! It is super easy and gets you hair out of the way! Let’s see some inspiration! 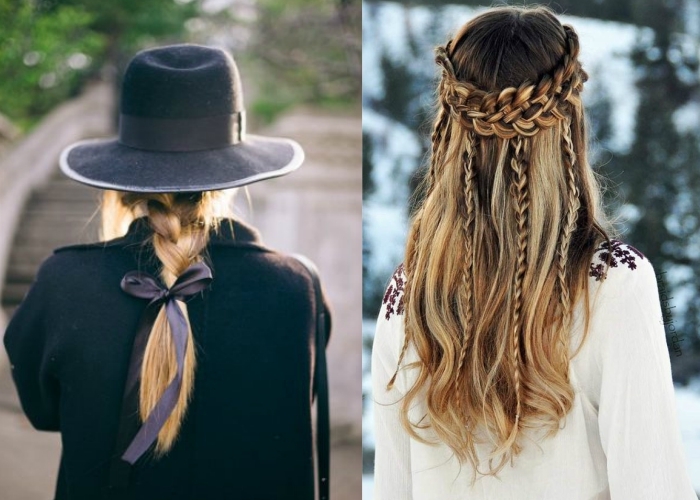 Now that spring is almost here, cute braided hairstylse are always on trend. I love this one especially, because it is easy, yet beautiful. It gets your hair out of your face, but since it is a half updo, it has a romantic vibe. I truly suggest you try it! With the latest trends of changing your hair every single week (thanks to Kylie Jenner that changes her hair on a daily basis!) it’s normal for you to want to refresh your hair. Instead of chopping or dyeing it, I propose to try wigs for women. You can also use a wig if you want longer hair but you don’t have to. It’s easy to apply, you can wear it without damaging your hair and of course change it regularly. Do we need anything else? 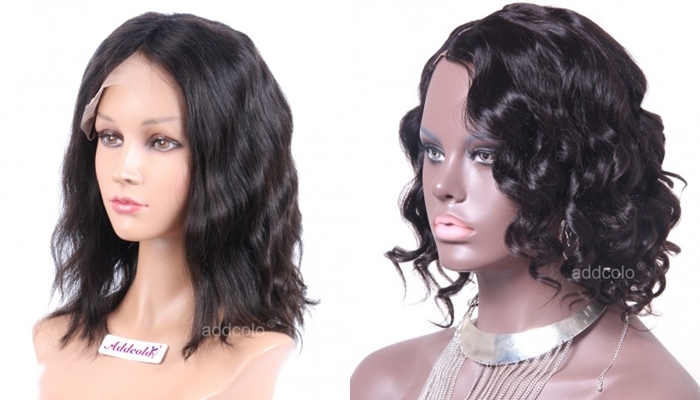 In the Veryhair website you can find some amazing lace front wigs that create the look of natural hair. You can choose between long hair or short (what do you think about a beautiful bob style). Or you may want straight or curly! 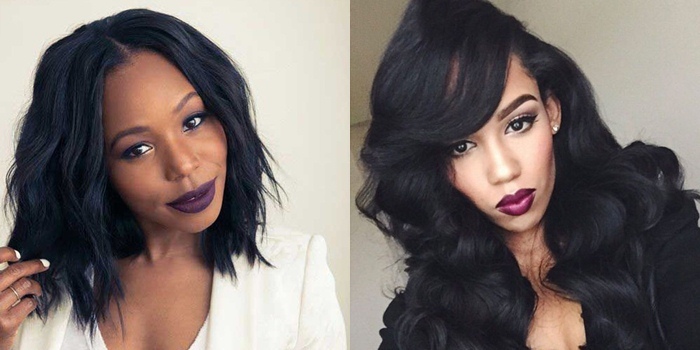 Do you find it difficult to figure out the perfect hairstyle for winter? 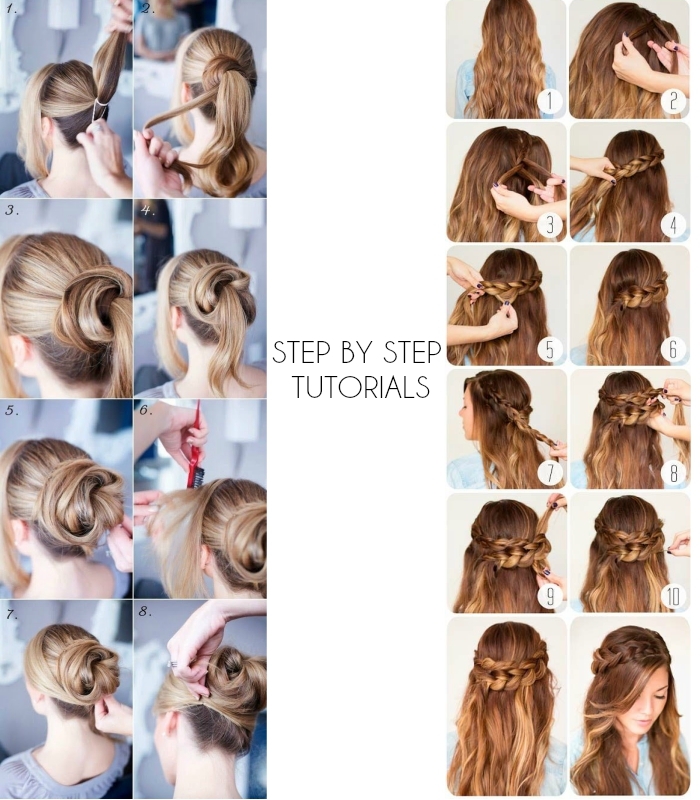 We are here to show some of the easiest and most adorable winter hairstyles you can create on your own. They are appropriate for every occasion and perfect to keep your hair put together in the colder months! The latest hair trends and how to achieve them! Hair trends, just like every other trend out there, keep changing from one season to another, and as a result, we put our hair through so much, and we end up ruining their quality and look. In the past, you could only achieve a nice hair color or a new haircut by dyeing or chopping off your beautiful locks, but these days, we can follow any trend we like, just by using some hair extensions or wigs. Wigs used to be such a taboo subject, but now thanks to celebrities such as Kylie Jenner, they’re all the rage. We’ve seen Kylie changing her looks daily. From brunette to blond, from blue to pink, from long to short, and back to long again in just a few hours’ time. If she ever tried all these changes to her natural hair, she would have probably been bald by now, but thanks to Full Lace Wigs she has achieved all those changes, and have created some hair trends along the way. Many women around us wear extensions and wigs, not just because they need that extra volume or length to their hair but also for confidence reasons. In case you don’t know it, I wear hair extensions too, my hair is kind of short, weak and flat so I needed all the extras some extensions can provide! What you might also know is that extensions are not cheap, in fact the 100 extensions I wear cost about half a salary so you can guess that I’ve been searching for a cheaper alternative but with no discount in quality! 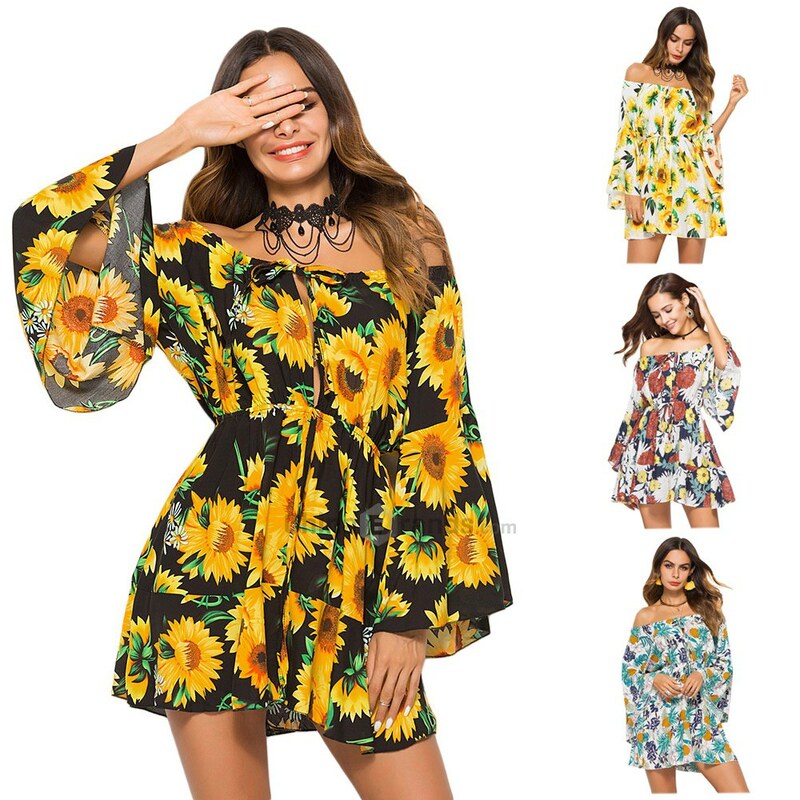 So during my search I discovered omgnb.com which sells, among other things, gorgeous hair extensions, ready-to-wear ponytails, wigs and other worth buying items. What I instantly fell in love with was the Clip in Hair Extensions! 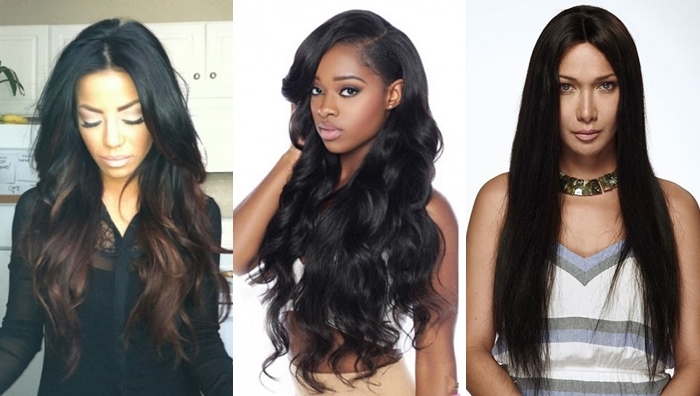 The variety they offer is enormous and every set of hair extensions is gorgeous! 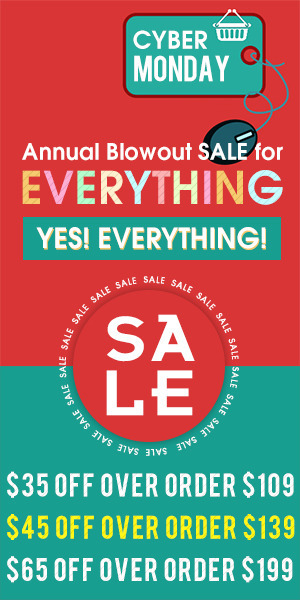 You can buy from plain blonde and plain brown to ombre extensions and shiny burgundy colors! There are also straight, wavy and really curly extensions, what’s more to ask, you can find the perfect fit for you!